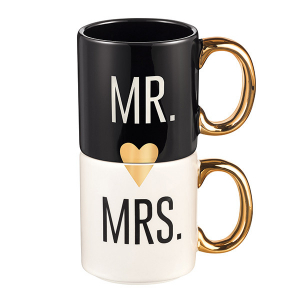 This Mr. and Mrs. Stackable cups are a great wedding gift or annoversary gift. Accented gold handles and a gold heart when stacked together. 6 3/4" x 4 3/4" x 3 1/4"